Wavelink’s Industrial Browser is a device independent solution that is ideal for all user types. 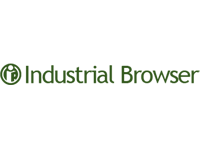 From those wishing to migrate an existing emulation application, to those implementing brand new Web-based applications, Industrial Browser is the perfect solution. Built to overcome many of the shortcomings you encounter with standard browsers shipped on many devices, it satisfies the most demanding environments. Web-based applications offer businesses significant advantages because of simplified application development combined with enhanced on-screen data representation. By developing a managed industrial web browser with integrated support for barcode and RFID technologies, Web-based applications can now take advantage of the enhanced data collection hardware on mobile computers. 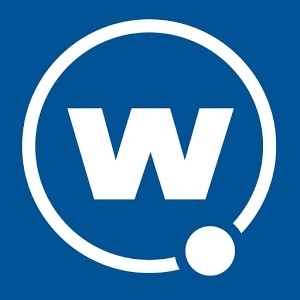 The Wavelink Industrial Browser’s unique features maximize the productivity of mobile workers, minimize support and administration costs, and provide a seamless migration from legacy applications to today’s Web-based solutions. Integrate support for voice, barcode, RFID and other data collection information into your applications. You can also run multiple emulation and browser sessions concurrently from the same device. Load and update the device remotely with updated settings and client versions from a central console over a wireless connection. This drastically reduces support costs. Automate common functions to streamline the end-user experience. By utilizing the Wavelink Script Editor you can automate common end-user functions by writing, recording or importing scripts in the active Wavelink Terminal Emulation client session. You can also create custom keyboard maps and host profiles. Launch the scripts through a wide variety of inputs; the selection of a menu item, a defined key combination, upon session connection, when a barcode is scanned, when the magnetic stripe on a card is swiped, or as an RFID tag is captured. The Wavelink Industrial Browser shares the device-side user-interface and enjoys most of the extensive configuration parameters of Wavelink Terminal Emulation. This makes it especially easy for users to learn a new Web-based application. The Wavelink client includes support for both traditional emulation, such as 3270/5250 and VT/HP, and Web-based connections. This allows you to migrate seamlessly from traditional text-based applications to a new graphically enhanced platform, while using the Wavelink standard client user interface and configuration tools. Using Session Monitoring your IT department can monitor or trace a user’s session. Cold boots caused by device battery loss cost companies money in decreased productivity. With Wavelink’s Industrial Browser, you no longer have to pay the price of an unexpected cold boot with its automatic program and configuration reinstallation. Unlike with the competition’s offerings you no longer have to worry about re-configuring devices, or setting up a self-install or restoring all device and application configuration settings if they are lost. Manipulate, validate and parse barcode scan data.